When Is Your 100th Day of School? Celebrate with $100 in Prizes! Until then, here are some other interesting opportunities to check out. 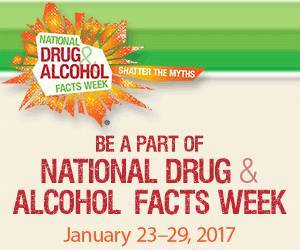 This week is National Drug and Alcohol Facts Week. You and your students are invited to a live web chat to learn about drug and alcohol myths and facts from scientists and other experts. It all happens on Thursday, January 26, from 8 am to 6 pm ET. Join the chat at nidachat.org. If you had $1,000 to spend on classroom technology, what would you buy? Apply for the Direct Packages grant, and you might get to go shopping! Visit directpackages.com/teachers-grant/. Entries are due February 24. 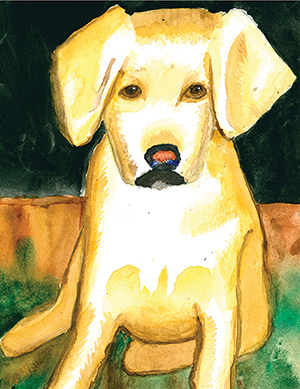 The Saving Endangered Species Youth Art Contest is open to K-12 students. Winners get plaques, art supplies, or even a trip to Washington, DC. The deadline is March 1. Visit endangeredspeciesday.org. PS: Disney Books is giving away a class set of books for your grade. Enter here. Dressing up like we’re 100 years old! We will practice our counting by bringing in 100 of something! We love the celebrating the 100 th day of school by making 100 wishes for our future! My students and I enjoy celebrating the 100th day! My class will be celebrating by creating self-portraits of themselves at 100 years old. My students will also write a brief narrative of what they will be doing when they are 100. This always brings some pretty amusing responses – I can’t wait to read them! Ours should be on Groundhogs day so we’ll probably spend a lot of time talking about shadows, hibernation, and the solar cycle, tying together our unit studies on animal classifications and the solar system in a nice way. We have a rotation through each of the kindergarten classes to do various activities. The students also bring in 100 of the same items designed to look like something. We have had aquariums, hats, hearts, 100 shapes. It is always fun to see what creative project they can come up with. Our 100 day celebration is filled with fun and learning,too! Our 100th day is February 7. We will use 100 pieces of circle-shaped cereal to make ABAB pattern necklaces. We will also decorate 100th day hats. I know that another grade level will be having their students bring in posters with 100 items on them — macaroni, pebbles, stickers, dots, etc. I believe the upper grades will have to guess/estimate which container has 100 pieces of candy, pieces of rice, buttons, etc. Lots to do on the 100th day! We will be incorporating the number 100 into all of our curriculum on the 100th day. We will end the day with our 100th day snack/celebration because even teacher is 100 days smarter after using our new reading program! We use club crackers and ritz crackers to make the number 100 and put squirt cheese on them. We then eat the number in the tens place and discuss what numbers are left. We continue until we have eaten the whole 100. The technology grant would be amazing! Awesome! We are going to making cookies and decorating them with numbers 1-100. It’s my favorite day of the year! On the 100th Day of School we celebrate by decorating a hat. Then we do 100 exercises. We cheer when we hit 100th minute of school.Give the students a “100 dollar bill” and then, we write a story “what would you do with $100.00?” Then we count to 100 by ones, 5’s and 10’s. Write the room and write 100 words. Measure 100 inches on crepe paper and hang in the doorway to walk thru (fun). Read Swimmy the Fish and cut out 100 fish and create the big fish in the story! At calendar, we add penny to piggy bank and talk about 100 pennies equals a dollar, add a straw to the party cup (place value), add a fish to the fish bowl (counting on) and have lots of fun! We will be doing a variety of things: 100 math problems students can come up with that equal 100, 100 boy names, 100 girl names, 100 seconds of jumping, 100 seconds of running, 100 bounces of a ball, etc. Each student is making a creation out of 100 Legos! We will have a whole day of activities that have to do with 100. All of our subjects will have something to do with 100. It is a fun filled day. Each child will also bring in a collection of 100. They each get to choose an item they get to display it any way they would like. We look at the collections together as a class. We culminate a week of activities (many of the ideas have already been expressed, such as having the families send in 100 somethings) with a 100th day Dance Party with the whole center participating. 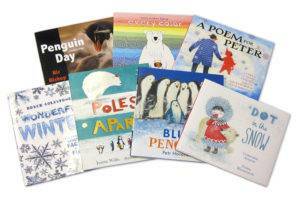 Day themed books and poems! We have read one hundred books, each day we read a different that one of the kids brought in our choose from our book bins and we read it and charted it to get to one hundred books read by the 100th day. We do a bunch of activities based around the number 100 – write 100 words, 100 critter hunt, 100 pieces snack, 100 exercises, create a class book. Our 100th day is tomorrow! We have different activities going on in our classroom. Our students rotate through them. I’m doing 100 piece puzzles. Fun day for all!! Everyone brings 100 small snack items, i.e. 100 small marshmallows, 100 pieces of popcorn, 100 pretzels, etc and then we put them altogether to make a 100 day snack. We will be reading and doing activities throughout the day. Since we only go a few days a week we are celebrating the 50th day of school with a 50’s theme! Lots of fun 50’s music and fun! January 27th was our 100th day. We have a100 day party. Everyone brings 100 something to mix together to make a snack. Then we have different stations that the students can go to. Like build with 100 cups, put 100 piece puzzle together, make a 100 stamp book and make 100 bead necklace are a few that we do. My first grade class and I celebrated our 100th day of school on Friday, Jan. 27th. I began by putting streamers on the door and a sign on the door that said ” We are 100 days smarter”! My students loved it. We also had a snack that looked like the number 100, made from wafer cookies and fudge stripe cookies. I also used small carrots and sliced apples that I cut out the middle for my students who have allergies. We made glasses and crowns that incorporated the number 100. Our math and reading all revolved around the number 100 and at the end of the day we read our Scholastic Reader that was all about 100. We were very busy and had a lot of fun! Hundreds day hats, braclets, art projects, physical activities, counting and singing, and fun! We changed classes in our grade level and did different activities. A hallway parade for the students and we all dress up in neon colors to light the way! I am also getting my official observation on the 100th day from our superintendent, so that should be interesting!! I am also getting my official observation on the 100th day from our superintendent, so that should be interesting!! Our 100th day of school is Monday, February 13. We honestly do not do much for the 100th day. That’s the way it’s been since I started and I am not really sure why. I teach Third Grade. Our First Grade celebrates the 101 day of school by dressing up as Dalmatians, The Kindergarten brings in collections of 100 items. I teach Third Grade. Our First Grade celebrates the 101 day of school by dressing up as Dalmatians. The Kindergarten brings in collections of 100 items. We will celebrate the day by reading Wolf’s Chicken Stew and eating 2 cake doughnuts and 1 pretzel stick. (100). Periodically during the day, we will do other 100th day activities. We will collectively complete 100 acts of kindness on that day! Our 100th day of school will be on February 6th. The students will be dressing like 100 year old “students.” We will enjoy a variety of literature focusing on 100. In addition I will photograph the students using the aging booth app. The students will be making a snack with 10 groups of 10 snack foods, singing the 100 counting song, doing 100 exercises, completing 100 piece puzzle and making a Kandisky-type mural with 100 fingerprints from each child. The hundredth day is a big milestone for my students! In my Kindergarten class we count to 100, Read 100 day books, Count cereal into bags of 100 pieces. Color 100 smile faces. Make a 100 day hat. Paint 100 dots on a paper. Read 100 CVC words. Oh we have so much fun on the 1ooth day! Students can dress like they are 100 years old, we read lots of books, make a special snack and count to 100 in several ways. In my school the primary students have different activities around 100 and all of the students bring in 100 objects that that can fit into a large baggie. I love walking down the hall seeing all of the baggies on display with all the little objects kids collect. WE all dressed as if we were 100 years old. We did 100 day activities all say long. It was so much fun. the children kept thanking me. I teach middle school special education ? We will celebrate the 100 day of school by making a necklace with 100 small beads for each student to wear home! We celebrated the 100th day of school by decorating pictures of ourselves. I gave my students questions, each question matched a math problem. The answer to the problem told them how to decorate. They loved it and they were practicing their math facts!